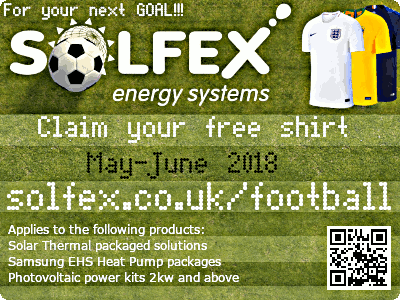 All through May and June 2018 Solfex energy systems will be giving away national team football shirts. When you purchase a 2kw and above photovoltic kit, packaged solar thermal solution or Samsng EHS heat pump package. Naturally a wide choice of teams are available and we should have you covered, just let us know the team you want. Solfex Energy Systems are proud to distribute the SolFiT Top Loader roof integrated PV system. This unique solution comprises a Bisol PV module fully integrated with a full metal low profile frame that is compatible with all roof types, strong, waterproof and easy to fit. 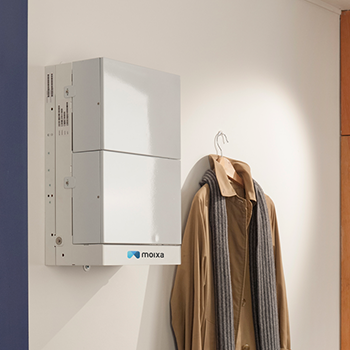 We're excited to announce that we are adding a new battery storage product to our portfolio from Moxia, the UK's leading manufacturer of residential battery storage and managed storage services. The Moixa Smart Battery, is a compact, wall mounted unit that can be used to back up surplus generation from a photovoltaic array, or any other form of renewable electricity. 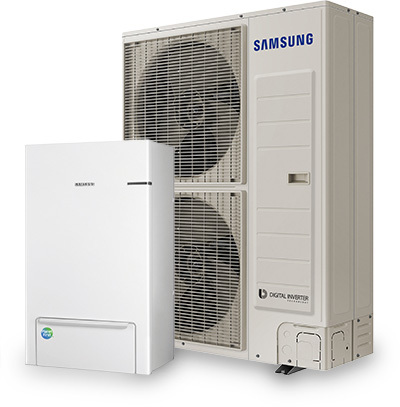 We are pleased to announce that we can now offer the full range of Split air source heat pumps from Samsung EHS. These systems range from 4kW to 16kW heating capacity with both single phase and 3 phase options available. The Split systems allow for greater installation flexibility as the system is split into 2 components, allowing for the outdoor heat pump to be situated up to 50m away from the indoor hydro unit. We are pleased to offer several training events over the coming months in partnership with Samsung EHS, who will be delivering the training. This training event is free to attend and allows you to become a Samsung certified installer, unlocking the full 7 year warranty cover on any units you then go on to install. To register your interest click here. Our new Underfloor Heating Product Guide and Price list is now available. 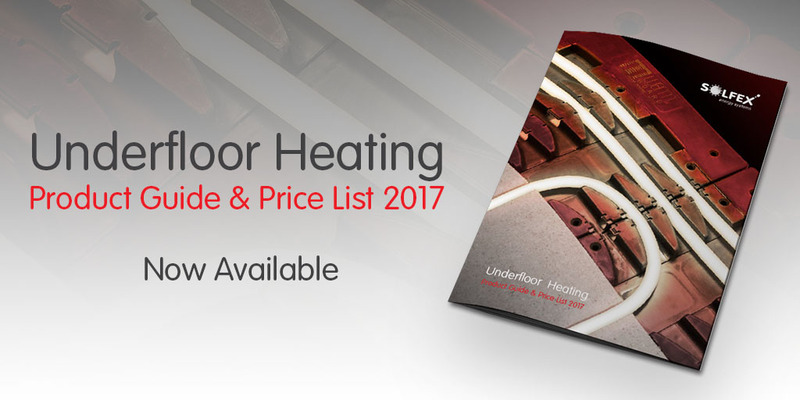 Packed with information on our entire range of underfloor heating systems and accessories, it's the only underfloor heating catalogue you'll need this year.